Weimar Porcelain is known for it's modern opulence and purity of design. 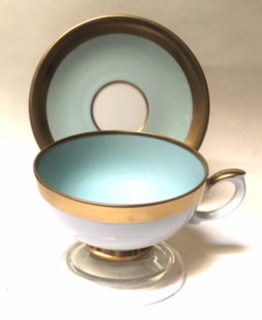 This white/gold cup has a celadon interior. Cup is 3 7/8" wide, 2 1/4" in height. The celadon saucer is 6" in diameter.